Our board members celebrate the purchase of Park Plaza in 2011. 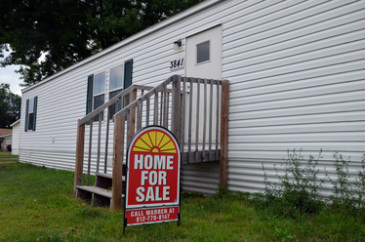 In a resident-owned community, tenants form a non-profit corporation called a resident association. Each household is a member of the ROC and an equal owner of the land. 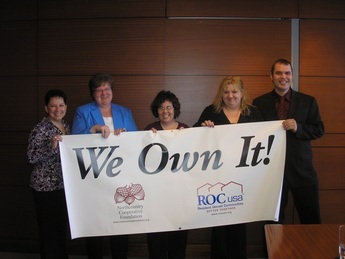 As a group, the ROC owns the land and manages the community. There are many benefits to living in a ROC, including control of monthly lot rent, repairs and improvements, lifetime security against unfair eviction, liability protection (Members are not personally liable for ROC loans. ), and a strong sense of community. Everyone has a say in the way the park is run, and major decisions are made by democratic vote.